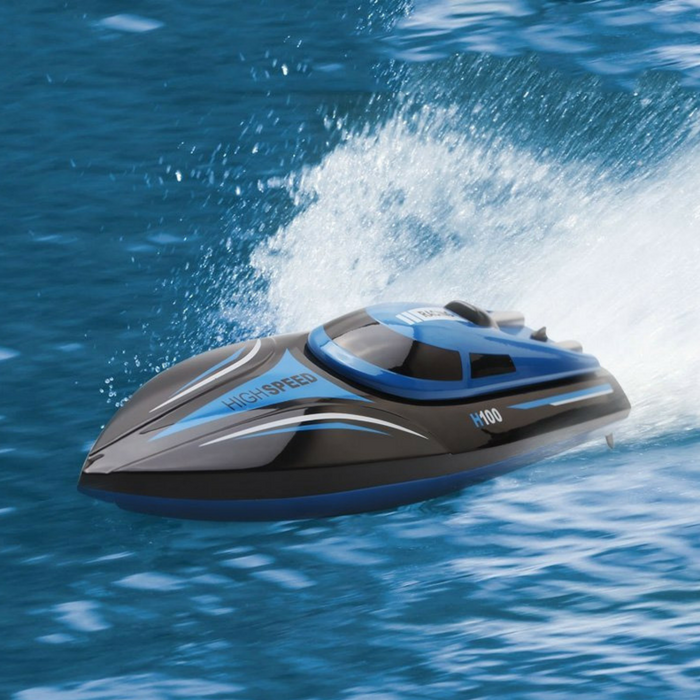 Electric Racing Boat Just $60.89! Down From $121! PLUS FREE Shipping! You are here: Home / Great Deals / Amazon Deals / Electric Racing Boat Just $60.89! Down From $121! PLUS FREE Shipping! Score this Electric Racing Boat at Amazon for just $60.89 down from $120.89 PLUS FREE shipping! Do extreme sharp turns and auto flips with this Electric Racing Boat. High performance and durable motor, and it has motor protective device, only when the boat is on the water, the propeller brass contact with the water, then it will be energized. It’s anti water design; equipped with air cooling device-automatic cooling system. Great for Christmas gift! Transmitterwith LCD Screen: With LCD screen on the transmitter, you are supposed to read the relative data directly, more intuitive and convenient; 2.4GHz frequency controller allows multiple boats to be raced at the same time. Simple Operations: Super-easy to control, 4 channel (Forward, Backwards, Left, Right, Automatically 180 Degree Flipping); With Rechargeable Battery, can offer 8mins playing after 45mins charging.Because each country’s charger adapter or wall plug may not be the same,the factory dose not provide, so the Charger Adapter or Wall Plug NOT INCLUDED!